If you’re looking for a carport to enhance parking around your home, it may be a great idea to consider a custom metal carport. Not only do you get the benefits of parking your car beneath this strong, durable structure, but you also gain the ability to use your carport for things other than your car. In this article, Wholesale Direct Carports is going to share nine ways you can use your carport that doesn’t include your car. 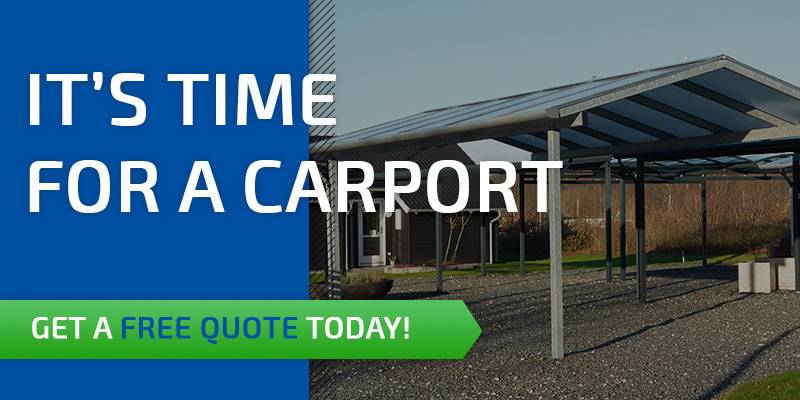 If you’re ready to discuss installing a carport, contact Wholesale Direct Carports today! You may be surprised by how you can use our metal carport. 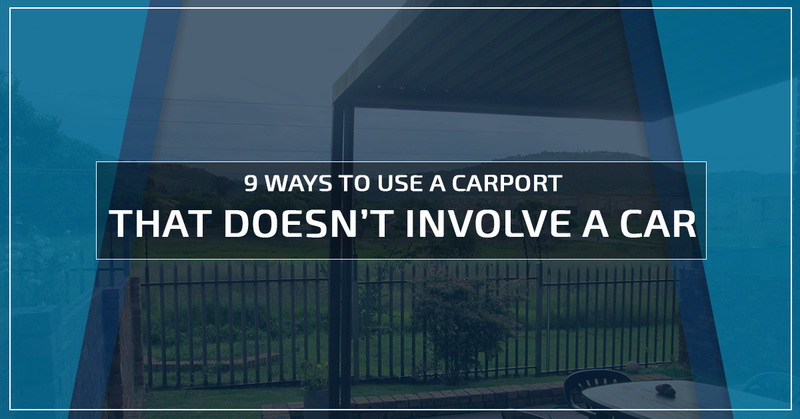 A carport can be used for much more than a car. You can host a party, store equipment, or make it a clubhouse for the kids. What’s more, the personal customization, available financing, and competitive pricing all make the case for you to buy a metal carport in Utah today. Do you consider yourself a socialite? Do you enjoy inviting family, friends, or colleagues over for a good time? A carport is a great structure to use to host events. You can set up your barbecuer, fill coolers full of ice and drinks, and put out chairs. Whether you have friends over for a drink or host a family reunion, a custom metal carport is a great way to keep the people you care about the most sheltered and comfortable. If you have a yard or run your own lawn care business, you may want to store your mower, weed whacker, and fertilizer somewhere it can remain dry. A metal carport can be used to store your equipment so that it stays dry and remains accessible without getting buried in the back of your garage — and we all know how digging your wheelbarrow or landscaping equipment out of a disorganized garage feels. Do you climb, hike, or camp? Do you have an affinity for bicycles? A custom metal carport is a great structure to use for storage of your adventure items. If your garage is a cluttered mess, it may be best to move some things out to a carport. It will give you more space to organize, and force you to spend less time digging through your belongings for your other hiking shoe. If you own a pool or need a covered area for the family to retreat from the heat during the summer, a metal carport is a great structure to rely on. What’s more, you can place chairs, a table, snacks, and more beneath your carport in Utah to appease those enjoying your pool or backyard. Finally, you can store rafts, inner tubes, pool noodles, and floaties for everyone to use beneath the carport, keeping sensitive materials out of the sun. Your custom metal carport can be an environmentally friendly structure, producing clean solar energy for your home. Many homeowners utilize the roof of their carport for a solar array. This allows you to collect energy from the sun, convert it, and power your life. Don’t want to invest tens-of-thousands of dollars into an outdoor oasis for your home? You can do it for much less when you choose to install a custom metal carport. The structure is durable, reliable, and customizable. Also, you will be able to make the space below your carport into nearly anything you want. You can choose a theme, design the space how you like, install the “oasis”, and then enjoy it as you see fit. If you own off-road vehicles, you need to store them somewhere. A custom metal carport is a great structure to use for this. You can pull your jeep inside, store your dirt bikes, park your ATVs, and keep your snowmobiles. No matter your need, you can fit your off-road toys beneath a carport. You just want your kids to go outside for a few minutes. Why not install a carport and designate it as the “clubhouse” for your little ones? A carport clubhouse can include chairs, tables, toys, snacks, drinks, and more to appease your children. What’s more, you can install cameras to keep track of your kids while they play. Do you have a hobby that you need space for? As a woodworker, metal fabricator, tinkerer, or otherwise, you absolutely need a space designated for your work. While a metal barn may be above your budget, for now, you don’t have to wait. A custom metal carport is a great structure to use for your hobby. We’re here to serve your carport needs. Whether you need a carport for your vehicle or your lawn equipment, we make the process of getting a custom carport as easy as possible for you. We strive to provide you the best customer service, as well as provide you the education and resources you need to utilize your carport in the best way possible. Our team and trusted manufacturers are here for you. Contact us today to start the conversation about your carport.